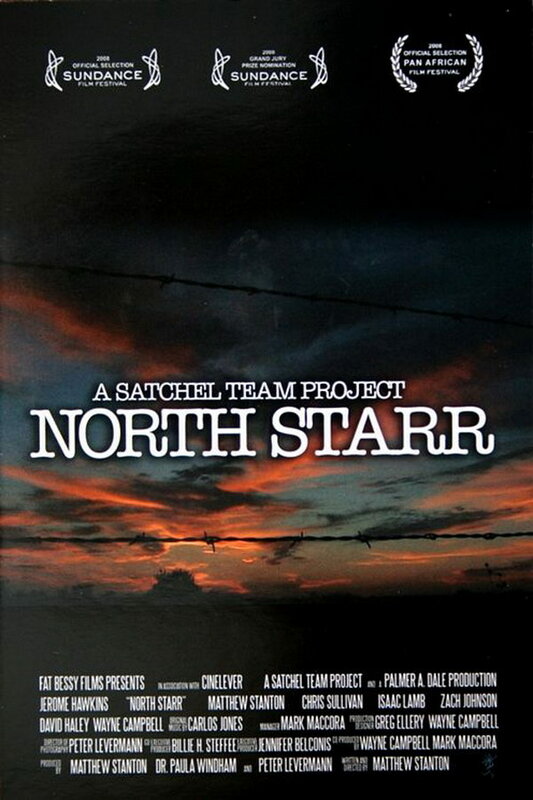 North Starr font here refers to the font used in the poster of North Starr, which is a 2008 drama movie directed by Matthew Stanton. The font used for the movie title in the poster is ITC American Typewriter Medium Alternate designed by Joel Kaden and Tony Stan as an ode to the invention that shaped reading habits and the idea of legibility, the typewriter. You can view more details about the font here. In addition to North Starr, American Typewriter typeface is also used in the following logos, movie posters or album covers etc., including: OfficeMax, TVO, Carrefour, Newsies (musical), Nighty Night, The Office, Buy Buy Baby, Tales from the Script, You’ve Been Trumped, Stand by Me, I Love NY, Meeting Spencer, The Devil Is a Part-Timer, Psych, The Middle.